It's important that every contact lens wearer have a back up pair of glasses. Consider what you would do if you had an eye infection or lost a contact. Dr Richardson always recommends resting your eyes with a pair of eyeglass to help with eye health and eye fatigue. Your opportunity is here to get a free pair of glasses. ​This is a win win deal for everyone! 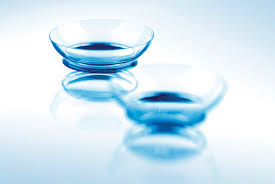 When you purchase an annual supply of contacts, the contacts are delivered to your home or office. You have them in hand so are more likely to be compliant and therefore have better vision and eye health. You can get a rebate most of the time with new exam. Making your lenses more cost effective. We now carry the latest state-of-the-art technology for dry eyes! ​ Call us today to demo TrueTear and learn how it may help.